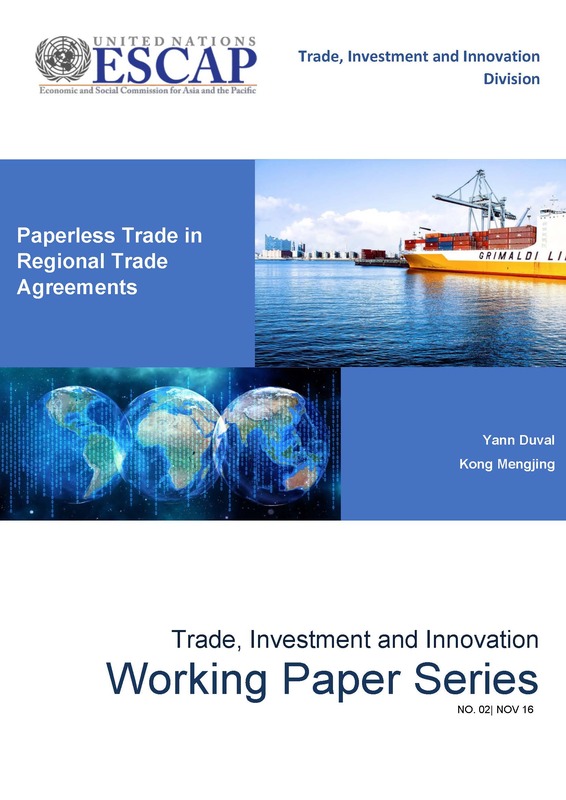 In this working paper we develop a comprehensive list of paperless trade measures and provisions in regional trade agreements (RTAs) and examine the extent to which they are featured in various RTAs, including in the TPP and ASEAN agreements. The number of paperless trade measures in RTAs is found to have doubled between 2005-8 and 2013-16 at the global level. Most recent RTAs contain more and deeper provisions than those featured in the WTO Trade Facilitation Agreement. A more detailed analysis of paperless trade measures included in selected Asia-Pacific RTAs confirms that the coverage of RTAs of paperless trade issues has become extensive, covering increasingly specific areas such as electronic certificates of origins and sanitary and phytosanitary certificates. In that context, the new UN treaty and Framework Agreement on Facilitation of Cross-Border Paperless Trade in Asia and the Pacific can be expected to provide a useful tool for harmonized implementation of many of these provisions. Key words: regional trade agreements, paperless trade, trade facilitation, digital trade, electronic certificates, trade integration, regional cooperation, free trade agreements, cross-border paperless trade, electronic commerce, treaty, RTAs, WTO, ESCAP, Asia-Pacific.